Short URLs are now mainstream. Short URL makes it easy to share a long and complicated web address to a short and readable URL. Though that's fine for most of the users, adding your own band to the short URL is required and showcase how serious you are about your brand. And as you already own a domain name, creating a custom branded short URL is completely free. You just have to make a one-time setup. This guide will help you to create your brand identity, easy to manage sharing statistics and easy advertising medium. Here, instead of a popular URL shortening service like bit.ly or goo.gl from Google or tinyurl.com or any other free web address shortening service, the domain is replaced by your own domain making a great medium or advertising and brand impression. Even though you don't want anything of that, still you should create one if you have a blog or website because it's totally free and easy to set up. The custom domain of your own website or blog. Here we mean domain like www.toptrix.net and not the domain like www.yourblog.blogspot.com. You should have access to the A Records and CNAME records of your domain. An account with any URL shortening service like http://bit.ly or http://awe.sm or anything like that. This guide prepared considering few things that may vary for you if you are using different service but the procedure is same so anyone can use this. An account with URL shortening service http://bit.ly and the screenshots used here are likewise. If you are using any other URL shortening service, don't worry, all those services have the same options and you can easily make one. It automates your ditto tasks that consume valuable time. You have to enter your domain in the box. You can either use your current full domain of blog or website or if you want something spicy you can buy a short domain specially for URL shortening. We have used http://toptrix.net. Even if we can buy an extra domain like http://toptr.ix or anything like that used by many professional websites. A domain verification web page will appear. Here you have to verify that you own a domain that you have entered and going to use as a free web address shortener domain. If you want to shorten the web addresses with your main domain, like, http://toptrix.net/zkkwnE, you have to use A-Record settings. If you want to use a subdomain as a URL shortener, use CNAME record settings. We suggest you use 'A Record' settings as it will save a few characters that with a subdomain. Now login to your domain registrar account and go to DNS settings or DNS management option. Click on A Records and then adds an 'A Records' entry as 69.58.188.49 in the 'IP address'. If you want to use a subdomain as a URL shortener using 'CNAME record' settings and enter a value of subdomains like 'www', '1'(used in this example) or anything like that in the field of "NAME" and enter "cname.bitly.com" in the field of 'Value'. Click on add and save. Now come back to your bit.ly account and click on verify button. It will show an error message and a check back button but don't worry. The only thing you have to do is not to click on "Start Over" button. It will take around 3 days to verify your domain. Keep waiting for 3 or one more days. After 3 days check back the verification. Do not click on " Start Over". Click on verify and you should find a message like this. Once you have verified your short domain, you have to set up this URL shortening domain as a default short domain in the settings of your bit.ly account. To make your own custom domain as a default URL shortening domain, go to settings >> custom short domain >> Choose your default short domain and select the one that you have just verified. 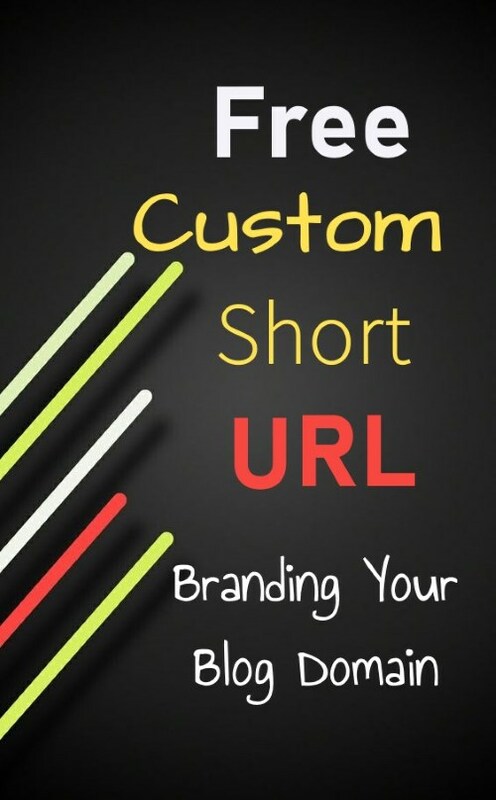 Now start making your own free custom URL shortening domain for sharing long links on Twitter, Facebook, on your blog and everywhere you want to share any link. Thanks for the help! I got my custom short domain working. Hello, Thanks for nice post..
Thx bro. I will try it ..
Wow nice post iam gonna implement it too on my blog preferably using goo.gl URL service. informative blog thank you for such a excellent article.